Discover the Magic of Jackpot Ranch! Starseed Kids Camp is held at a private 72-acre property nestled in beautiful northern Arizona. 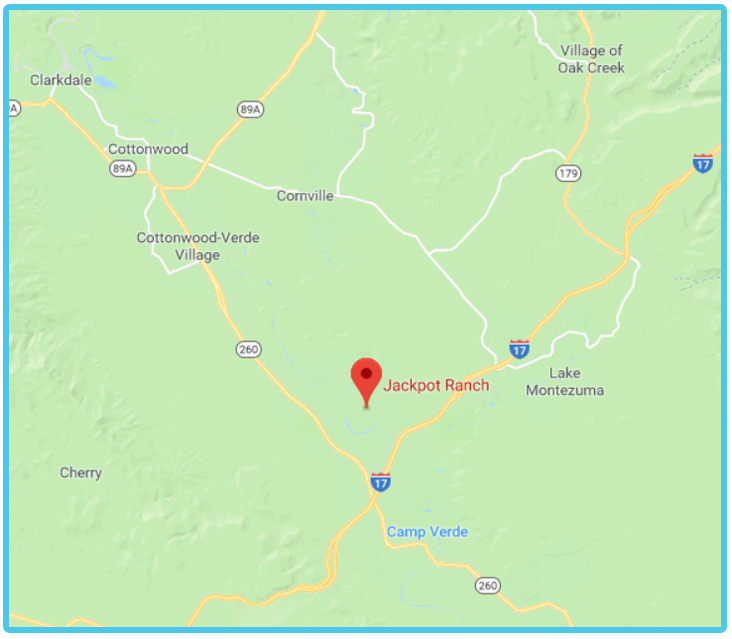 Situated at the edge of the town of Camp Verde, Jackpot Ranch is only an hour drive north from Phoenix, just off I-17. 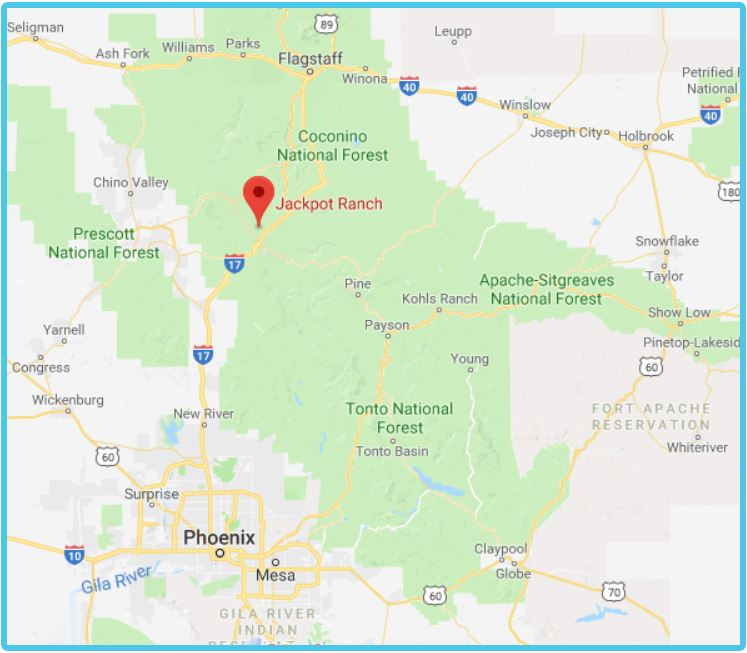 It is a short distance from the beautiful Red Rocks of Sedona, and the cool mountain country of Flagstaff, Prescott and Payson, Arizona. We’ll have a full schedule of age-appropriate activities, as well as plenty of free time for campers to choose what they’d like to do. 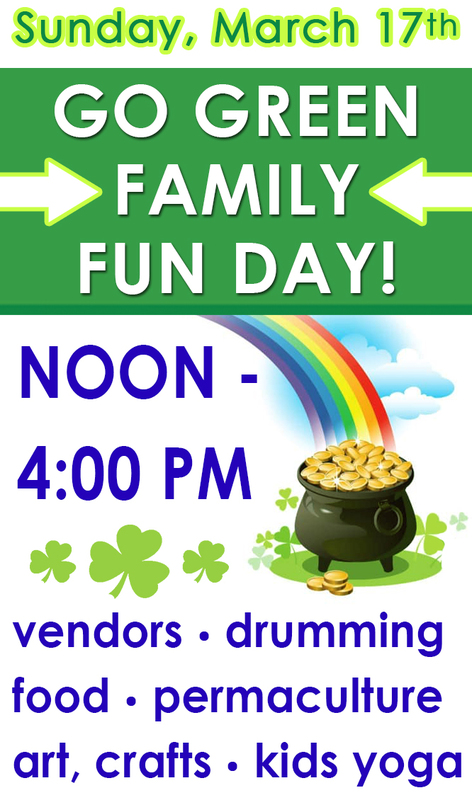 We will have a Creation Station with several Arts & Crafts projects. 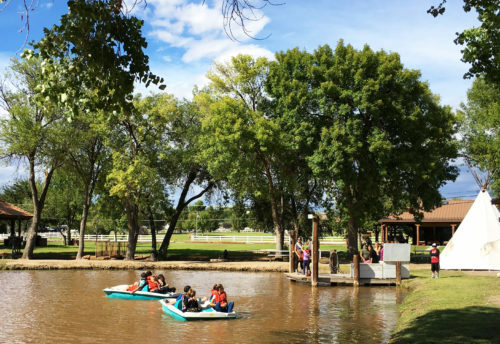 Kids can enjoy the sandy beach area, and take turns Paddle Boating (life jackets and adult supervision provided). We have a Sports Court with sports equipment available for basketball, volleyball, pickle ball, tennis and more! We have a Playground and a large baseball diamond field that we will use for Outdoor Movie Night! Campers will visit the Petting Zoo to learn more about baby llamas, deer, goats, pigs, ducks, rabbits and chickens. We have plenty of open space for picnics and outdoor play and activity. We’ll have guided nature hikes and learn about various plants and wildlife. There will be plenty of staff on hand to supervise all activities. We will visit the Tree House where “Grandmother Owl” may share nature stories and ancient wisdom. 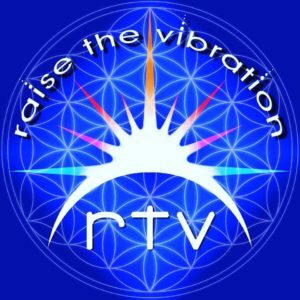 Campers will have the opportunity to experience Reiki and energy work at the Tipi Healing Village. We will learn about essential oils, hands-on healing, and other Shamanic practices such a energy clearing and balancing. 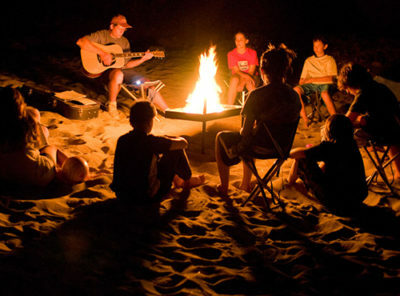 At night, we will gather by the Campfire for songs, stories, stargazing, and share some s’mores! Be sure to pack comfortable clothing for warm days and cool nights. We will have a Camp Talent Show for all attendees to participate in. Campers are encouraged to bring an instrument or any props to share and show off any special talents or skills. We will also be making crafts for them to share. We will offer Kids Yoga and Mindful Meditation and have plenty of new yoga mats available to borrow. 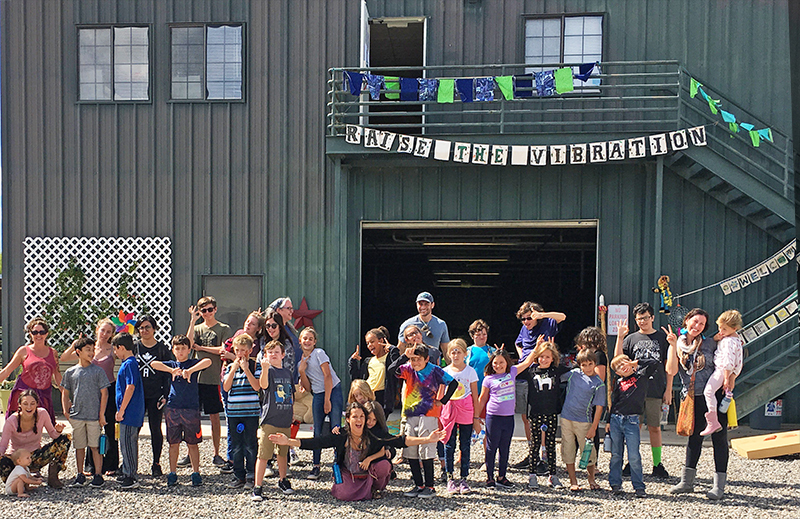 Campers will learn how to quiet their “monkey minds” and learn techniques to deal with stress and anxiety in their modern world. The ranch features a state-of-the-art “Bunkhouse” with 14 bedrooms that accommodate up to 33 guests. The bedrooms feature a mix of bunk-style beds, twin beds or a queen size bed. Your child will most likely share a room with another camper. You can request who they bunk with, or we can match them up with an appropriate roommate. 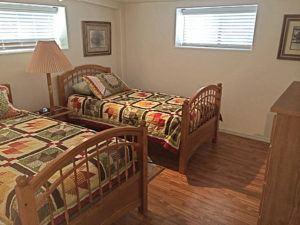 Each camper will have their own bed and easy access to several restrooms and private showers. There is a lounge for socializing, which is where we will hold indoor activities in the event of inclement weather. The entire bottom floor of the Bunkhouse is a Game Room with pool tables, ping pong and foosball. During free time, campers can choose from numerous available activities, or they are welcome to lay in a hammock and read a book! 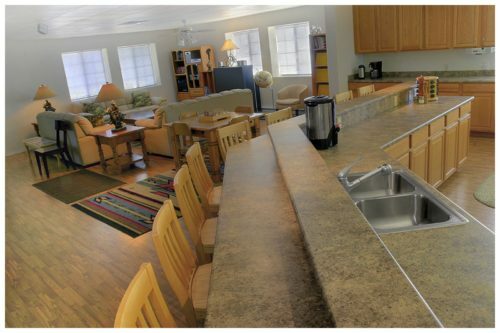 Also inside the Bunkhouse is a large kitchen where we will prepare and serve all meals. Fresh, organic food will be provided, being mindful of dietary restrictions and food preferences. We understand how important it is for the kids to enjoy their food and have a variety of healthy meals and snacks. On your child’s REGISTRATION questionnaire, please let us know if they have any food allergies or preferences, as well as any specifics on what they like to eat. Feel free to pack any favorite foods, snacks or beverages for them to bring to camp. Find Google location and directions HERE. We’ll use the “Buddy System” so everyone is accounted for, as well as 1 adult to 4 children ratio to ensure all will be safe and sound. 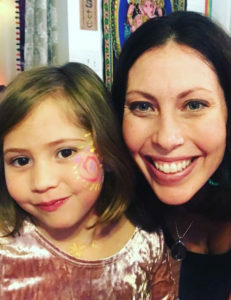 Nicole and Christy, as well as several other staff members have extensive experience managing kids, so we will make sure your child’s needs will be met at all times. We have an “open door policy” and campers are welcome to discuss any concerns, discomforts, social or personal issues with us at any time. We are happy to help however possible. Boys and girls will bunk in separate rooms unless otherwise requested. Siblings and friends can bunk together. Camp Staff will be in rooms on each wing at all times. What other questions may you have? 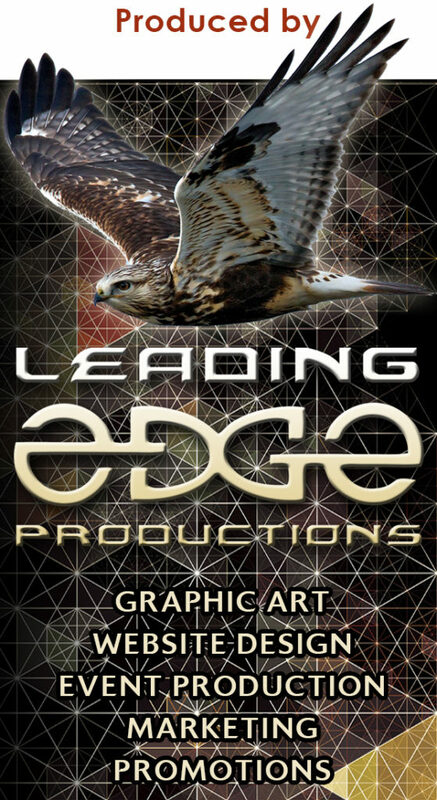 Please feel free to CONTACT US and we can talk via email, phone, FaceTime or in person. Thanks so much for your interest in Starseed Kid’s Camp! We look forward to getting to know you and your child.